Kratom is not confined to a single strain or same effect. Instead, kratom leaves are different depending on the region where they grow or the climate or many other reasons which may differentiate them from each other. The difference is base on the alkaloids compound present in the leaves of kratom. These alkaloids can affect the bodies and minds of users and have different qualities which create different effects. Kratom products usually differentiated from colors, strains or grade. Colors may be red, green or white, which decide its suitability for the kind of effect you are looking for. 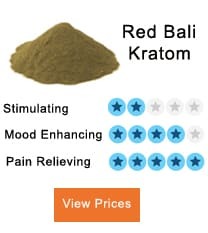 Strains are named usually from the place where the kratom originated, and grades of kratom mean the potency of the product, which is the strongest to the weakest. Thai Kratom has the qualities of providing energy to the user rather than giving relaxed feelings. Thai kratom is beneficial as it is less expensive and gives you positive results according to your requirement. Apart from the energy-boosting ability, it has another quality of acting as a pain killer. The name Bali was given to this kind of kratom because it is shipped out to international markets from ports in Bali. It is not produced usually in the island of Bali, and the place of origination of this kind of kratom is Borneo. Bali kratom is known for its relaxation providing quality, along with giving relief from pain. However, it does not possess the ability to provide much energy to the user if compared with other kratom strains. 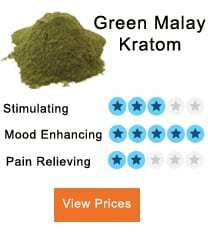 Malay kratom is a kratom strain not appreciated as a pain killer. It does not release the users from the anxiety, but it is highly used as a stimulator and gives many cerebral benefits as well. Malay kratom can release your tension without making you sleepy or creating any effects of dizziness. As a stronger strain, most of the people use it by mixing it up with other strains so that the effects of Malay kratom are reduced and balanced. Malay kratom also remains in the body to create its effects for a long duration, and that is why users are always satisfied with it. Indo kratom assists the user in giving them a relaxed feeling, and it removes all the anxiety and depression from their minds. It not only helps them in providing relief from anxiety and stress, but it also makes their mood better. Most importantly, it is a substitute for opiates and allows them to get rid of the adverse effects of such drugs. 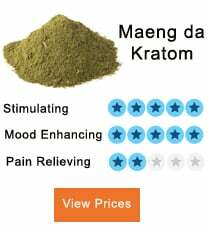 Maeng Da kratom originates from Thailand, and it is considered to be the type with the strongest effects on the body and mind of the user. High concentration of the alkaloids in it make people use it in low doses. Many people mix it with other strains to balance the effects of the kratom. Its effects remain for a shorter period, but the strength is incredible, and it is the best for the reduction of pain and anxiety and can be a powerful sedative.